Happy Friday! Let’s celebrate the weekend the only way I know how.. with cake! The Crunchie Friday Feeling Cake to be precise. Once upon a time Crunchie did do a birthday cake and it was glorious. Much like the Flake Birthday cake it disappeared, much to my disgust, but has recently made a return. Huzzah. This time around Cadbury have opted for less of the birthday cake angle and more of the cake for any occasion angle. 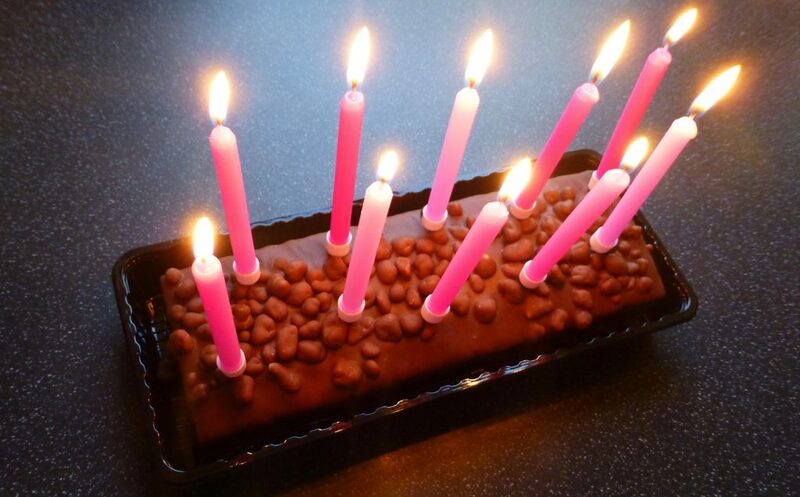 In this instance however I did actually have this as my birthday cake hence my pink candles. I must say I much prefer the size here, far easier to cut when it is a rectangle. Honeycomb flavour sponge layered with a honeycomb flavour crème, covered with milk chocolate and decorated with milk chocolate coated honeycomb pieces. This 480g number cost £6.00 and serves 10, apparently. It is suitable for vegetarians and had a pretty lengthy best before date. Cutting it was a wee bit of a struggle purely for the chocolate coating cracking into a load of pieces as soon as the knife went in. Per 1/10th: 200 kcal, 5.1g sat fat, 19g sugar, 1.8g protein. I am not sure what has gone on here for it to be lopsided, but really it is all in the taste. The layering was spot on with enough crème to ensure there wasn’t a dry sponge in sight. For a hefty amount of sugar I was surprised to find it didn’t taste overly sweet, nor give me toothache like Crunchie bars do. The deliciously smooth honeycomb flavouring was like liquid gold and worked perfectly with the milk chocolate, tasting far more like honeycomb than an actual Crunchie bar. The chocolate itself could have been better quality, it’s no original Dairy Milk I know that for sure, but it did tick a box. I was slightly bemused how the abundance of honeycomb nuggets would fair, however they worked surprisingly well against all that sponge, and injected a different honeycomb texture to the cake. 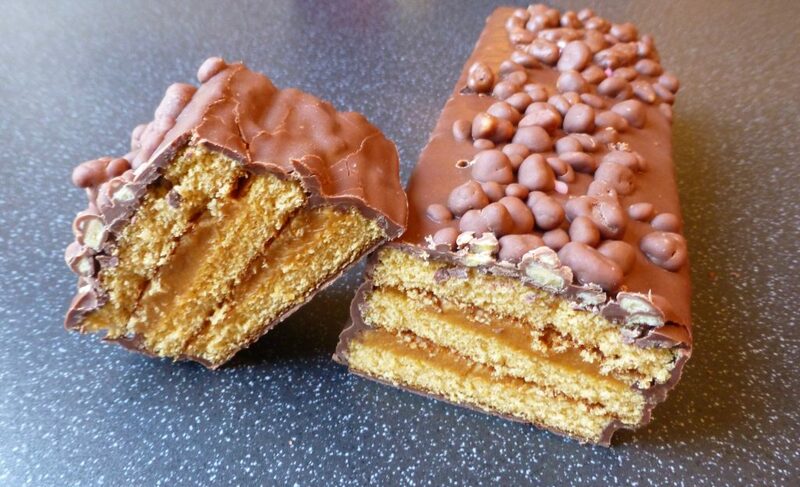 I have to say I am not at all disappointed by this Crunchie Friday Feeling Cake. 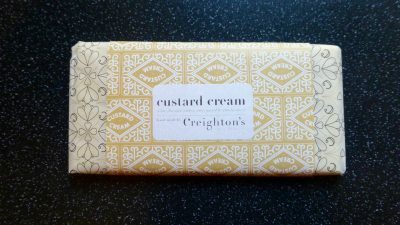 The flavour is spot on, it’s delicious, I finished it and was left wanting more and, dare I say, better than an actual Crunchie. Certainly one to pop on your shopping list.